If your looking for something to control your media centre PC or boardroom presentation wirelessy, then check out the Pocket Wireless Touchpad . Control your Media-PC or a boardroom presentation from across the room with this handy Pocket Wireless Touchpad with Media Controls. It gives you a portable laptop-style touchpad in the palm of your hand with full media controls and a built in laser pointer. 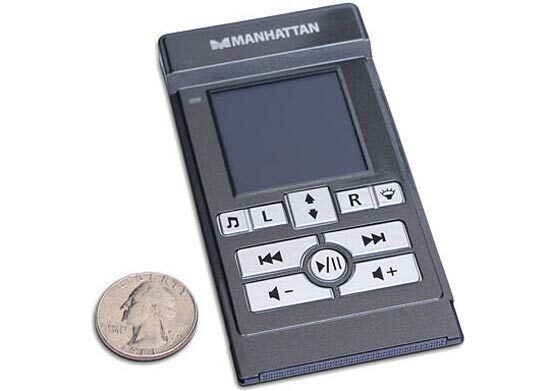 The built-in rechargeable battery gives you 4 hours of play time and you can charge up via USB or docking in a standard PCMCIA slot. Secure 2.4Ghz Bluetooth connection means no one can muscle in on your mousing action. Here’s the features and specs. The Pocket Wireless Touchpad is available for $59.99 from Think Geek.